February is one of two calendar months associated with love, due to the placement of Valentine’s Day right in the middle of it. The second month, by the way, is June in case you hadn’t guessed. 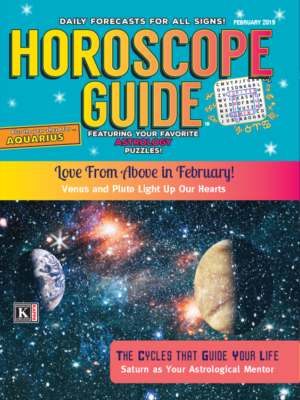 This month, love gets an extra boost from a conjunction of Venus and Pluto on the 22nd. This is a passionate pair, of course, but as “Love Above” on page 32 tells us, its vibes spark more than romantic love, as it also relates to the love and the passion each of us feels for the things that make our lives fun and interesting. The discussion of the chart and the life of aviator Amelia Earhart in that article makes that point very well. 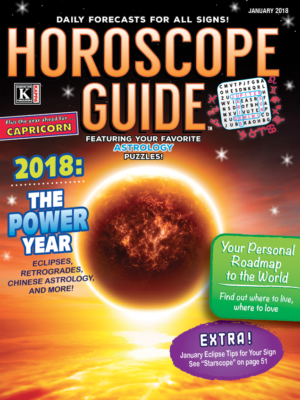 Our second article, on Saturn cycles, discusses the well-known cosmic pattern known as the Saturn Return, and gives us a unique in-depth understanding of what Saturn in our charts and our lives really means. By the way, have you checked out “Tomorrow’s News” recently? Read the installment this month, of course, but also go back and gather up the September and October installments and then read what “The New Astrology” has to say about those two months.At this time of year, college basketball fans are captives of their TV screens and smart phones, as they absorb the ups and downs of their favorite teams. Astrology fans, on the other hand, know that the real madness this March is found up in the sky, as Mercury goes retrograde once more. 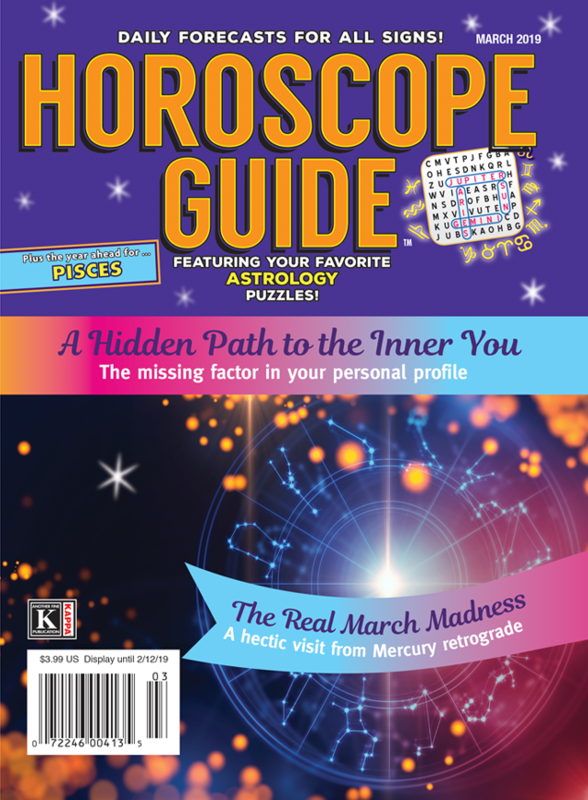 “The Real March Madness” explains how this particular Mercury retrograde will be just a bit different from the others, but also adds some depth to this event with examples of people actually born with a “backwards” Mercury. You probably understand your own sign pretty well, but then again maybe you don’t if you have missed out on the detail that an ancient astrological tool called a decanate can bring to the area of the zodiac associated with your date of birth. “A Hidden Path to the Inner You” on page 38 tells you what decanates are and how they can make you unique, and quite different from others of your sign. 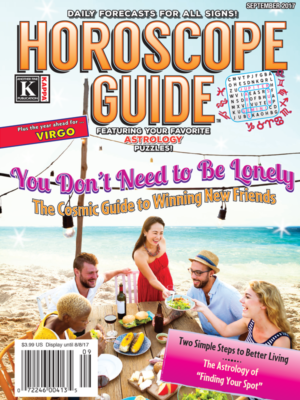 In the meantime, all of us here appreciate your interest in Horoscope Guide, so thanks very much for stopping by. You’re welcome any time! 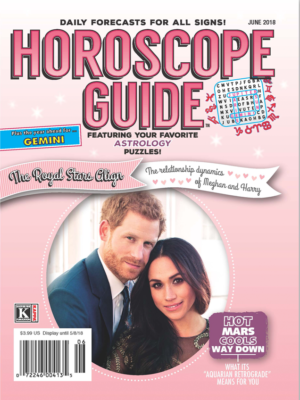 Give a Personalized Astrology Custom Word Search as a Gift!